Kandi: The Electric Car Of The People? The Leaf, BMW i3 and the ever-improving BYD Qin (ninth consecutive record), all conquered new sales records, with two cars outside of the Top 10 also deserving mention, the Zotye E20 blew away its previous record (780 before vs 1.621 last month), while the Renault Zoe barely missed a new sales record (1.358 in June '13 vs 1.356 in Sept. '14). The BYD Qin in #6 and Zotye E20 in #7. 1 - Will Kandi continue to amaze everyone? 2 - Who will improve their sales records? 4 - ...And reach Toyota in the manufacturers ranking? As you can see, although different, there are some common characteristics in these markets: Most (If not all) have fiscal incentives regarding plug-ins, while the majority enjoy high living standards. Comparing their current EV shares with the one had in the past, there are differences between each market, while Norway, Iceland, Sweden have been growing exponentially in the past years, the USA are experiencing a steady climb over the years, something that this year Japan and France are finding harder to achieve. As for Switzerland and Denmark, something clicked this year, making their EV Share rise faster than in the previous year. The Netherlands has a different situation from the others, because if we compare with last year result of 5,55%, the Share decrease is significant, but considering that there was a fiscal-changes-derived-rush late last year, it would be better to compare with the 2012 performance, time when the EV Share was at 1,10%, so there is also a sensible progression here. Finally, Estonia. Thanks to a deal made by the Estonian government back in 2011, Mitsubishi flooded the local market with I-Miev's, pulling the EV Share to a sky-high 2,39% in 2012, making it the second largest Share, only behind Norway. Naturally, when the agreement ended in 2013, the EV Share suffered a drawback, to 0,68%, which it wasn't all too shabby, allowing it still to be the #7 in this parameter. Now sales are doubling and returning to the levels of 2012, only this time it's consumers originating demand instead of governmental sales deals. There were several records broken in the Top Markets, beginning with China and the UK, both shattering their previous sales records (12k instead of 5,7k for China and 3k inst. of 1k in the UK), and France beating expectations and also improving its sales record (Record now at 2,3k), only the Netherlands sold poorly, selling only 1,1k. Regarding EV Shares, China continues to grow significantly (Now at 0,33%), but there are also other markets growing fast, like the German, where plug-ins continue to climb (0,46% vs 0,38% last month) at a fast pace, while in the UK the EV market jumped yet again from 0,33% to the current 0,42%. With France and Japan back at positive territory, only Holland (4,07%) is behind last year result (5,55%). Looking at the models ranking of each country, Tesla did great in the US, but it was the Nissan Leaf that took the local Monthly Best Seller trophy, while Kandi left everyone in China (And elsewhere) amazed with their numbers, in Japan the Leaf continues to win over the Outlander PHEV, something that was reversed in the UK, with the japanese SUV breaking the all-time sales record by a fair margin. 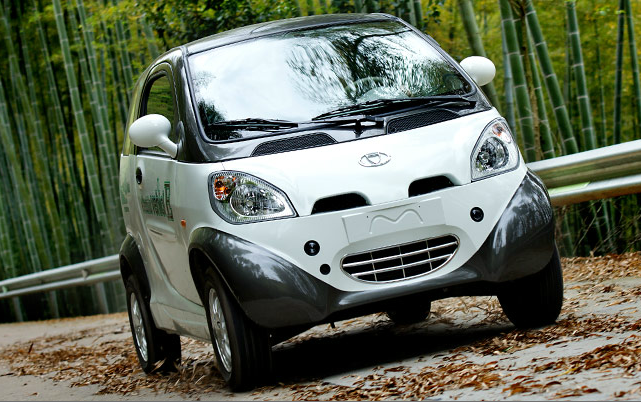 The Leaf regained the Monthly Best Selling scepter in Norway, just like Smart in Germany, while the Zoe went back to form in France, performing a Year Best. In the Netherlands the Outlander PHEV continues their rule while the runner-up V60 Plug-In was dethroned this month from the Second Spot by the Model S.
1 - Will the Leaf continue to impress and add more titles to its collection? 3 - Will the e-Golf start to collect #1's? 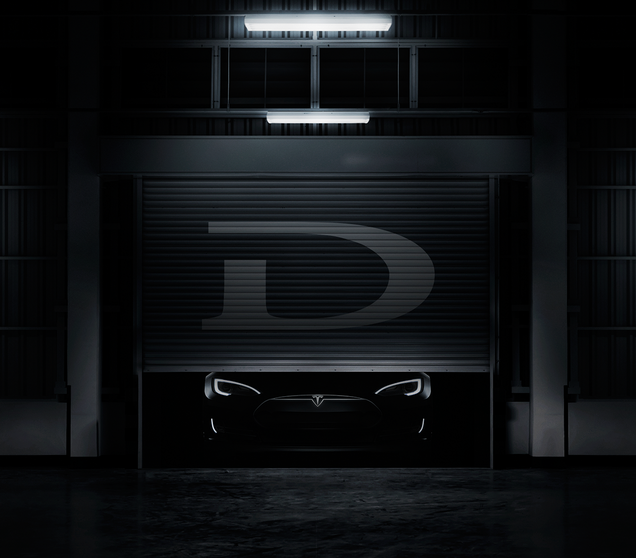 A lot has been said about the hype created by Tesla and the media regarding the past October 9th event, Elon Musk sent the bait and many went after it, making different guesses about what it was, Model S AWD, Model X, Model III? Some other kind of trick? When the announcement was made, the AWD Model S and a Driving Aid System, many were disappointed with the Next-Big-Deal-That-After-All-It-Was-Not-That-Big. The same kind of news in a manufacturer like BMW, at best would be just another major AutoShow announcement, among other more important launches. Sure, Tesla in not any other automaker, it doesn't have a large portfolio and it is scrutinized in the media like no other Auto Brand, but that would be another reason for Tesla to take more attention on the Hype around it. The recent disinvestment in Tesla made by Daimler and Toyota should be seen in a larger picture, the California-based manufacturer stocks are falling, and many doubts are arising regarding the long-term future of Tesla. When the Model S landed two years ago, one could say that it was years ahead of the competition, not only because it was an electric car like no other, with power and range enough to scare many of the best ICE cars, but the whole concept regarding service, sales, charging stations, among other features, was something completely different. The competition was caught with the trousers down, still in early stages of development for their electric cars or deciding wether to go full on to plug-ins, and couldn't respond to it, making Infinity even go back at the drawing board with the LE. When will the X be a reality? Currently Tesla is no longer a North American/Euro curiosity, their sales network is spread across the globe and the Supercharging stations are growing fast across the major markets, with Tesla owners being able to cross continents without any kind of range anxiety. Sales grew exponentially in two years, with 3.000 units/month now the norm for the automaker, and they are now prepared to jump production two fold, with the help of the upcoming Model X. Even the Model S didn't had that much updates during this period, if at the time it was launched it was 5 to 10 years ahead of the competition, the gap is now reduced and the competitors are recovering fast, with rumors that in three years time they will be where the Model S is now. And how will be Model S in 2017? It will be probably redesigned, but with funds going for the development for the Model III, don't expect for a huge leap in the refreshed Tesla sedan. It will be with the Model III, that will come the crucial moment for the long-term survival of an independent Gigafactoried Tesla, if it achieves the ambitious goals set by Elon Musk, the battery-production scale will help it become profitable and win those needed funds to add more models to the lineup and assure the long-term profitability. But, for that to happen, they will have to market it sooner than later, because others are already pushing their EV's for the same kind of product (300 kms range, price in the 30k's USD) in 2016/7, if they can push the Model III to the market before that timetable, they will have a window of opportunity for success, if not, others will eat Tesla's lunch. 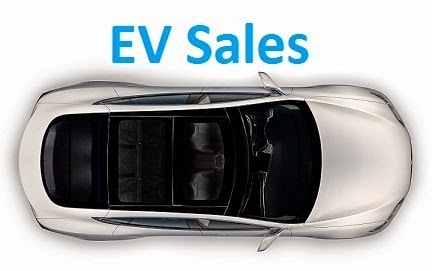 To finish a positive month for plug-ins around the world, good news from the japanese market: 3.897 units were sold last month, the second best month of the year, pulling the EV Share to 0,94% (Will we see this market end the year at 1%? ), while the top two models also had their second best result of the year, with the Leaf again #1 (1.756 units), probably benefitting from the Outlander PHEV (1.450) production constraints, as such, it looks that the Leaf will be again the Best Seller of the Year. Good result for the Prius Plug-In, with 358 sales, securing a comfortable Third Spot YTD, while the #6 BMW i3 is looking to pass the Miev duo above it. Three new models appear on the ranking: Tesla registered its first 8 units in Japan and BMW sold its first i8, and a new model shows up here, despite being on sale since last year: The Accord Plug-In joins the ranking in #8, hoping to pass the Minicab Miev Truck and reach #7. Looking at the monthly models ranking, the top 5 is full of records and year bests, the leader Outlander PHEV had its best sales month of the year, the runner-up Leaf has made its best score ever, with 1.986 units (Sunderland assembly line is finally paying off), the #3 Zoe barely missed a personal best (1.343 vs 1.358 in June '13) and the BMW i3 had its third best score ever. On the YTD ranking, there's not really much to tell in the front seats, the VW e-Golf had something of an off month, selling just 336 units and being unable to reach the Top 10 yet. 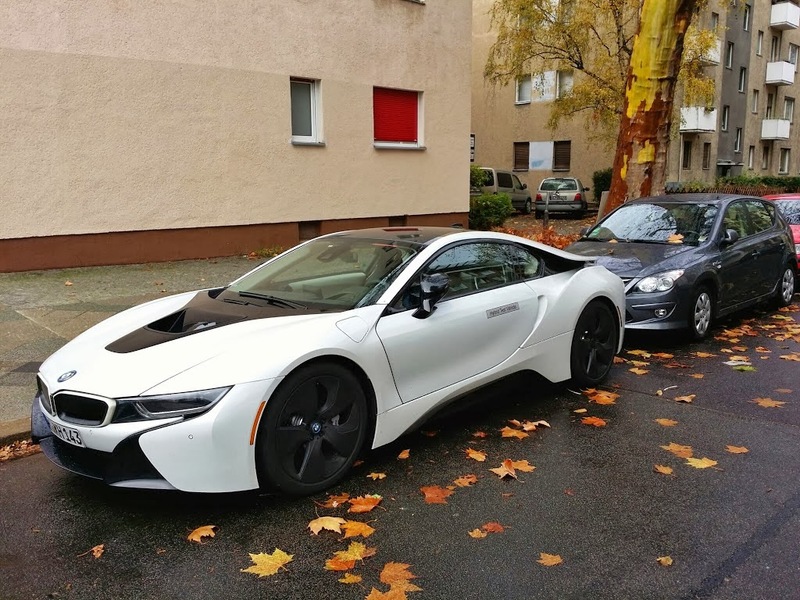 A deserved mention to the BMW i8, #14 in September with 93 units and jumping four positions to #19 YTD, something to be regarded with respect, considering the type of car. Finally, the Kia Soul EV jumps to #25 YTD (#13 in September with 107 units), which may actually consider that the South Korean automaker is investing for real in Plug-ins and wants to be a major player soon. The Nissan Leaf is the usual leader, with 33 registrations last month, followed at a distance by Tesla Model S and VW e-Up!, with 4 units, which allowed the german city-car to rise to #4 in the YTD ranking, changing positions with the Renault Zoe. 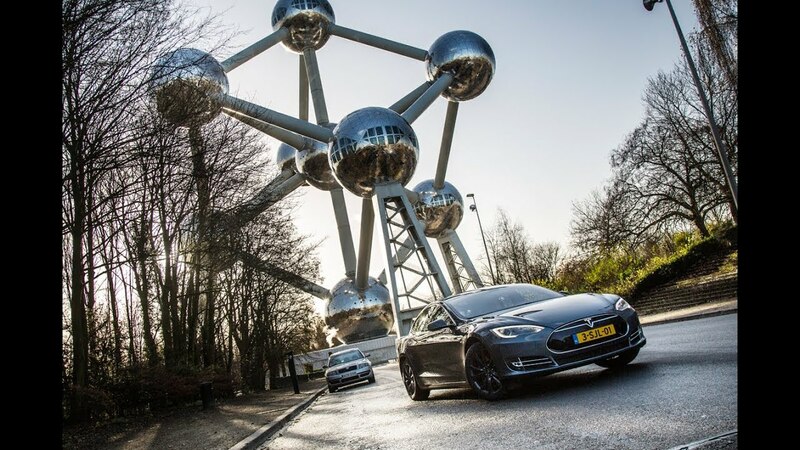 144 ev's were sold last month in Belgium, an average month that actually made the EV Share rise slightly (0,01% to be more accurate) to 0,41%. Looking at the September models ranking, if Tesla doesn't surprise by being the Best Seller, with 28 units, the second spot from the VW e-Golf, with 23 units, is a sign that actual sales are starting to hit the roads and just not demonstration vehicles. The BMW i3 sales were below expectations, selling 18 units, having to share the #3 monthly podium with the Nissan Leaf, which had its best performance since last April. Finally, there's one newcomer to point out, the Kia Soul EV landed and made its first registration. After several months selling in the hundreds, the Austrian EV market sold only 94 plug-ins last September, still a 12 units improvement over the same month last year, but nevertheless it dragged down the EV Share to 0,51%, down 0,02% share. But there is another good news to report, the total sales this year (1.202) is now in record territory, with still three months to improve the score, not bad, eh? Looking at the models ranking,the bavarian i3 continues to hold the leadership, being the best seller for the third month in a row, while the previous the leader Renault Zoe (15 units) had its slowest selling month this year, apparently happy with its current runner-up position. Speaking of runner-ups, last year #2, the Renault Twizy, rose to #8, changing positions with the Outlander PHEV, which isn't the best selling plug-in hybrid here, that credit goes to the #6 Volvo V60 Plug-In. Is Mitsu austrian importer under-performing or are austrians not that into the japanese SUV? 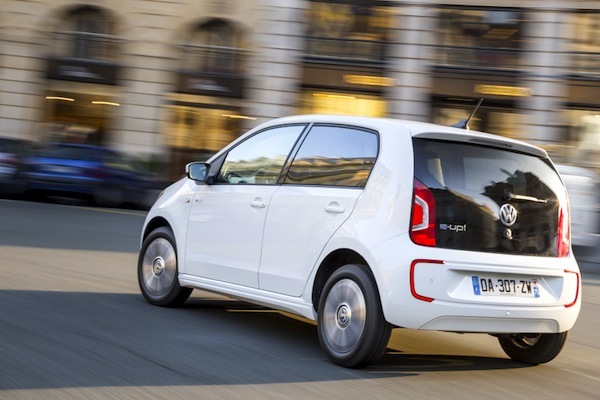 Looking into the manufacturers ranking, BMW (27% share) opened slightly the gap to 2% regarding Renault (Up 1% to 25% share), while Volkswagen in #3 (15%) is waiting desperately for the e-Golf to step up sales. Will the Outlander PHEV be a success story in Australia? The third quarter australian sales data became available and short of knowing the numbers from the Outlander PHEV, they aren't that great, with stagnant sales from the usual two (Leaf and Volt), with the EV share down to 0,021% vs 0,026% a year ago. Let's hope the Mitsu SUV, as well as the impending arrivals of Tesla and BMW i-models, contribute to change this. ...But Holden did even worse, selling only 47 Volts this year, which is half of it had sold last year!